Kase on Technical Analysis is the ultimate guide to forecasting and trading technically, a comprehensive "all you need to know" review of the topics. Award-winning instructor, Cynthia A. Kase, CMT1, MFTA2, engineer, veteran energy trader, and one of the world's preeminent market technicians, captures her 30 plus years of experience in thirteen half-hour sessions, for more than six in-depth hours on technical analysis essentials. Viewers will develop a better understanding of charting and technical indicators, and get an inside look at cutting edge material based on Kase's own unique indicators and innovative approaches to trading and forecasting. The video describes key techniques for interpreting market behavior and developing a technical approach to trading. The workbook provides practice exercises that reinforce the concepts learned as Kase guides viewers through the various methodologies and their real-life applications to successful market interactions. Technical analysis is a core discipline used by successful traders to assess market conditions and time trades. This package covers the aspects of technical analysis needed for intelligent interaction with the markets, from theory to practice, with concrete guidance toward real-world application. 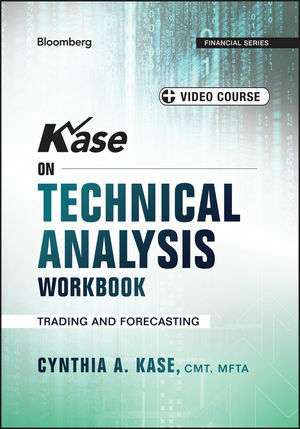 For traders wanting to "come up to speed" on technical analysis, for those wanting a refresher on the topic, as well as for seasoned traders looking for new ideas, Kase on Technical Analysis provides deep insight from a global authority. CYNTHIA A. KASE is president of Kase and Company, Inc., providing cutting-edge technical indicators and studies, as well as technical financial forecasts and solutions, with a parallel practice in energy trading and hedging.